For those who don't know, I am very happy to report my family is growing! My wife and I are expecting our second child end of July. As such my focus is shifting to Dad duties. Spare time is going to be a touch more difficult for me to come by with 2 infants in the house. I am hopefully my children carry the same passion for aviation me. Not to push the agenda but I already had my son up flying on a few trips. He didn't say much (he's only 1 year and 4 months now) but I'm fairly certain he liked it! All this being said, my intention is to pass the torch on the Presidency for the 2019 Board of Directors. My intention is to assist in the transition period to the new 2019 Board and will continue to help out anyway I can. Please consider applying to the 2019 Board of Directors. I would like to close with again echoing my thanks to the current and former Board members. Over the years I have had many people approach me inquiring and asking about the club. A lot of these inquires from professionals in the aviation industry. The common theme has been everyone is very impressed with our organization. None of this would be possible without you. I look forward to seeing a good turn out at the AGM. 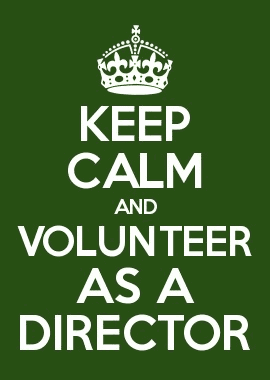 Please consider volunteering for the 2019 Board of Directors! Wishing everyone blue skies and cheap avgas. Watch for the "crow hop"
Well flying season is finally underway. First off I’d like to welcome our three knew members that checked out this week: Mark Janeway, Doug Cornwall and Mark Lloyd. There are a of couple subjects I’d like to talk about this month. The first one is the "crow hop" tendency of the Cardinal. On landing, continued back pressure is required on the control column. If the control column is relaxed on touchdown there is a tendency for the nose to slap down on the runway, possibly starting a crow hop oscillation. If this should happen and it’s a slight bounce, hold the nose of the aircraft in the landing attitude and wait for the plane to settle to the runway. If required, add a slight bit of power to slow the descent back onto the runway. If it is a harder bounce just carry out the go around procedure. Also, I’ve noticed recently when some pilots are taxiing, they’re not holding on to the control column. If you start off and try to turn the aircraft without holding the control column aft, it’s more difficult to turn. The controls should always be placed in the correct position according to the wind direction when taxiing. After landing, when the brakes are starting to be applied, the control column should slowly be pulled back to the stop as the aircraft decelerates, however not to the extent that the nose wheel would come off the ground again. Looking forward to seeing everybody at the AGM on Saturday, April 20 at 10 AM. Happy flying and be safe. Our AGM will be held April 20th at 1000 in the banquet room at the Hangar Bar and Grill. I would encourage every member to make an effort to get out for this meeting. It’s your chance to shape your club by voting, voicing your opinion, or putting your name forward to run for the board. Following the business portion of the meeting we’ll be touring Hangar M, which houses the full scale Avro Arrow replica along with other items from Canadian Air and Space museum. As usual, it’s nice to get together for lunch in the dining room afterwards. Our 2nd annual COPA for Kids event will be held July 20th. Hope to see a repeat of the tremendous support we got last year. This year, all pilots must have and ground crew are encouraged to have the vulnerable sector service (VSS) check done. Several cases have already come up where a delay has occurred because of a similarity with an applicant and another persons record, so sooner is definitely better for applying. A volunteer letter makes the cost little or nothing so contact myself or Karen Howell and we’ll get that to you.